Who could have guessed that Apple overcharges for RAM upgrades? The online authority for fixing technology, iFixit, has released a new RAM upgrade kit for the 2018 Mac mini that saves users hundreds of dollars. The kits come with either 16GB or 32GB of DDR4 RAM that is the same 2,666MHz speeds as the RAM Apple uses. The kit also comes with the tools that users need to upgrade the RAM like a small pair of tweezers, an opening tool, a spudger and a small driver with the bits that users will need for the project. 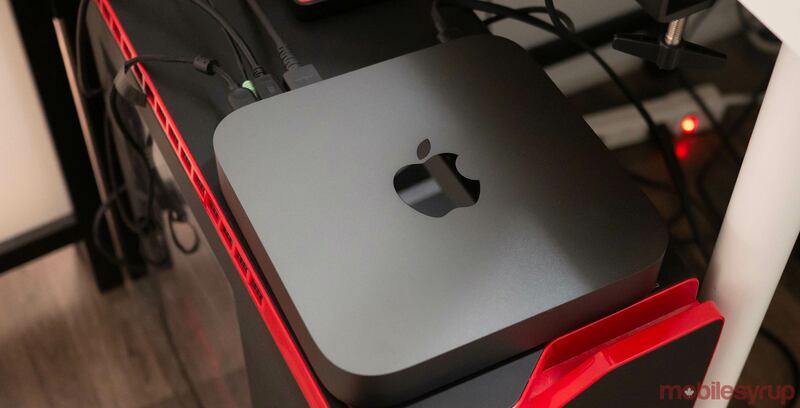 Apple ships the Mac mini with 8GB of RAM by default and then users can upgrade through Apple to either 16GB, 32GB or 64GB for $240, $720 or $1,680 CAD respectively. The iFixit kits cost $164.99 USD (roughly, $220 CAD) for the 16GB version and $324.99 USD (roughly, $434 CAD) for the 32GB. Notably, the kit is only available in the US version of the iFixit store, but it does ship to Canada. Overall, this option can save users up to $286 CAD if they want the 32GB version. Apple only built two memory slots into the Mac mini, so anyone looking to add 64GB of RAM will need to find another solution online.